Get higher scores on your SAT and ACT Essays – fast. Get higher scores on your SAT and ACT Essays - fast. A complete audio prep course on the SAT and ACT essays for students at any level. An hour and forty-five minutes packed with SAT & ACT Essay lessons from a multi-time perfect scorer and 7-year veteran tutor. Pick your focus - either the SAT Essay, the ACT Essay, or both. Learn the Basic Rules, Essential Strategies, and Deep Details of both essays. Taught personally by a perfect-scoring SAT / ACT tutor & founder of Love the SAT Test Prep. 1 hour and 45 minutes of MP3 audio via instant download delivery. 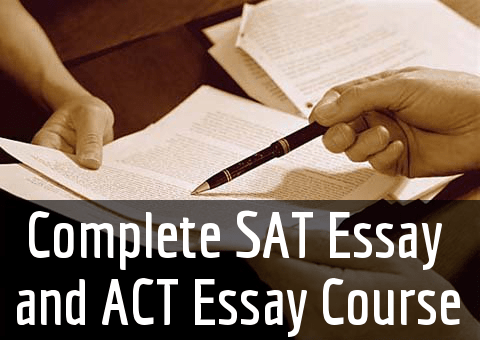 Download This SAT Essay & ACT Essay Course Instantly! These exclusive essay secrets are only available at Love the SAT. Taught in private tutoring, these lessons would cost $225 or more. 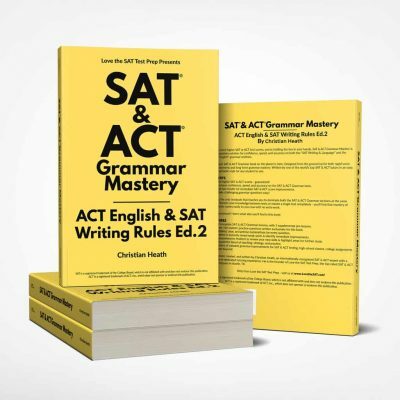 Save hundreds when you download these SAT and ACT Essay secrets today! You will receive instant access upon payment. 30-Day Money-Back Guarantee on every purchase you make from our bookstore. 30-Day Money-Back Guarantee on every purchase you make from our bookstore. MP3 Audio files are neatly organized and conveniently tagged for easy playback in iTunes, Windows Media or the MP3 player of your choice. Also includes a 50%-off coupon for your next course! You will receive instant access upon payment. Wonderful course on the SAT and ACT essays! The lecturer seems like he knows everything about th essays. And it’s a nice touch having audio format instead of reading another boring prep book. Glad I found this, it was definitely worth it!